Russian Prime Minister Vladimir Putin has arrived in Russia’s western enclave of Kaliningrad to hold a meeting on housing problems of military servicemen. He also received visitors in a local office of the United Russia party. Prime Minister Putin made a working visit to Kaliningrad on Wednesday, as the country was celebrating Defender of the Fatherland Day, and will travel further west to Brussels on the same day to hold talks with the leaders of the European Union and the European Commission. 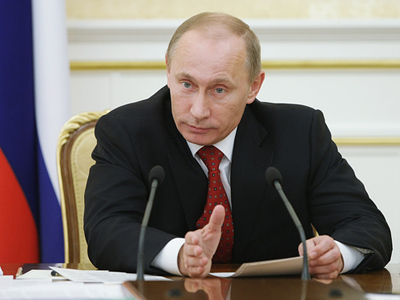 In Kaliningrad, Putin held a meeting with regional Governor Nikolay Tsukanov. Together with the head of the Russian General Staff Nikolay Makarov and Baltic Fleet Commander Viktor Chirkov, the prime minister inspected an apartment that was recently given to a navy colonel and his family. The PM said that he had charged the government with the task of providing housing to all military servicemen and their families before 2013, and stressed that this would also apply to those officers who had retired from service without receiving apartments. Putin also said that the military servicemen must receive fully-equipped housing instead of shell and core projects, or apartments built under Soviet-era projects. Apart from that, Putin held a video inspection of similar districts that have been built for the military servicemen all over the Russian Federation – in the Moscow Region, St. Petersburg, Krasnodar, Stavropol and Yekaterinburg. While talking to the visitors at the reception office of the United Russia party Putin said that he supported the idea about holding the Football World Cup 2018 in Kaliningrad. He told the head of the local football club that despite the region has certain problems, in particular a lack of infrastructure, the obstacles could be overcome by the year of the World Cup. The prime minister said that after Russia had won the right to host the championship, the authorities would use this right primarily for infrastructure development. The prime minister also said that during the forthcoming visit to Brussels he planned to discuss the easying of visa regime between Russia and European countries. Answering the question from a local businessman who complained that the visa regime between Russia and the Schengen states seriously hinders his trade, Putin said that it was possible that Europe could introduce a simplified visa regime for the residents of Russia’s western enclave. At the same time, the head of the government stressed that the major objective of the talks was the visa-free regime between Russia and the EU as a whole. The head of the Russian government also met with the head of the Kaliningrad Union of War and Labor Veterans and announced that military pensions in the country would be raised by approximately 50 per cent as of January 1, 2012. He also added that in future the military pensions would grow further and become dependent from the servicemen’s monetary allowance.